Sony Says PS4/Vita Bundle Is "More Real By the Week"
Sony would be willing to work with retailers to bundle the PS4 and Vita together. Arguably one of the most exciting features being offered by the PlayStation 4 will be the ability of gamers (with good Wi-Fi) to remotely play the console's games through their Vitas. That said, one question many have asked since the PS4/Vita's remote play was first confirmed, was whether or not the two game machines would be getting a bundle. While Sony has previously stated that it has "no firm plans" to box the PS4 and Vita together, the company may now be warming up to the idea. "Seeing the consumer reaction and actually an upsurge in Vita sales immediately following [our Gamescom] demo was very encouraging to see," said Sony's Fergal Gara. 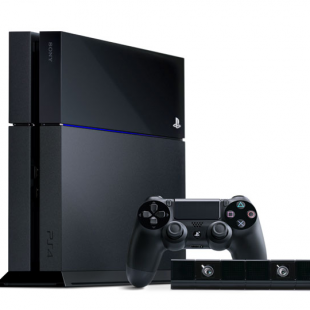 Sony, in turn, could still conceivably launch a PS4/Vita bundle prior to the PS4's launch. "We could probably change our mind in the morning and still have it ready for launch to be honest so it's not a big decision. It's not a hard thing to do." One method the company could consider would be a "soft bundle" that sold PS4 and Vita together for a package price but then delivered them as separate products. "Its very easy for us to work with [retailers] and say look lets create a package that contains PS Plus, Killzone: Shadow Fall, PS Vita, PS4, shall we do that? And they put it together as a bundle." In turn, if retailers themselves were interested in such a package, Sony would "support them to make it happen." None of this, of course, adds up to definite plans. That said, according to Gara, "the concept [of a bundle] is becoming more real by the week."